A file photo of Adani Power chief executive officer Ravi Sharma. Mumbai: Gautam Adani, chairman of the Adani Group, has a fetish for the number 20. He has set for his primary businesses a 2020 target. He wants the group to be mining 200 million tonnes (mt) of coal by 2020, as well as have 200 mt of cargo-handling capacity, 20,000 megawatts (MW) of power generation capacity, and 20 large ships, all by 2020. “These numbers are practical, not built in the air," said Rajeeva Sinha, a director at Mundra Port and Special Economic Zone Ltd, a unit of the Adani Group and the country’s largest private port. But the group has had to negotiate one hurdle after the other. On Tuesday, Adani Power Ltd announced it has deferred its plan to expand capacity by 6,500MW owing to a lack of clarity on coal linkages. The Adani Group’s collective market capitalization had plunged 67.81% this financial year to ₹ 76,451 crore. Adani Group stocks—Adani Power, Mundra Port and Adani Enterprises Ltd—plummetted especially after Adani Enterprises featured in the Karnataka anti-graft watchdog, or lokayukta, report on illegal mining. The group subsequently clarified that it was not involved in any mining activities in Karnataka. Mundra Port shares have been reeling because of concerns over environmental clearance for its capacity expansion. It is yet to get a security clearance from the government to bid for a port terminal at Vizhinjam in Thiruvananthapuram. Adani Group officials declined to comment on the matter. The “stock market is taxing Adani Group for its corporate governance issues", said a senior analyst with a leading domestic brokerage who tracks the group’s shares. “But that is not a big deal as it clarified that it has no involvement in the mining deal and environmental clearance is largely to do with procedures. Significantly, all of its debt is backed by assets," he said, requesting anonymity. The analyst added that while Mundra Port can easily achieve its target of 200 mt cargo-handling capacity by 2020, from 75 mt now, Adani Power and Adani Enterprises will face challenges in reaching their milestones because of external factors such as government policy, approvals to mine coal, and the availability of coal for its power plants. Mundra Port’s Sinha admitted that other external factors such as the economic slowdown and rising interest rates, too, can pose a challenge. “But largely, the story is intact as there will not be any drastic change in the demand for the basic requirements of human beings. Even in the last slowdown in 2008, the demand for basic things such as crude oil, steel and others did not fall, while high-end consumer items fell. 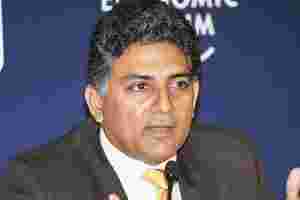 Hence, container freight rates fell," Sinha said. Sinha said the company is operating port projects at Mundra, Dahej, Hazira (all in Gujarat), coal berths in Goa and Visakhapatnam, and a coal terminal in Abbot Point, Australia. It is investing at least ₹ 20,650 crore in all these port projects. It is also bidding for port projects in Chennai and Thiruvananthapuram. To reflect its increased interest in port projects across states and countries, Mundra Port has decided to change its name to Adani Port and Special Economic Zone Ltd.
Mundra Port wants to be the country’s largest port by traffic handled by 2020. “The company has entered into strategic long-term contractual arrangements in order to grow its operations and diversify its revenue by leveraging its experience and resources, including the available land in its possession on the special economic status at Mundra Port," Vikram Suryavanshi, a senior analyst with Antique Stock Broking Ltd, wrote in a 21 December report. These long-term agreements provide the company with guaranteed cargo volumes and income for its operations, he wrote. As for Adani Power, despite the delay in capacity expansion, chief executive Sharma reckons “there is nothing there to stop us in achieving 2020 targets considering the demand for coal... We still have time to execute it". The company, he said, is structured to have backward and forward integration from coal mining to power trading. The Mundra power plant generates 3,300MW and will have a 4,620MW capacity shortly, he said. In addition to this, Adani Power is building plants in Tiroda, Maharashtra, with a capacity for 3,300MW; 1,320MW in Kawai, Rajasthan; 1,320MW in Chhindwara, Madhya Pradesh; 2,640MW in Dahej; and 3,300MW in Bhadreshwar, also in Gujarat. It has built three power transmission lines as well. Land and water supply agreements are in place for the Dahej, Bhadreshwar and Chhindwara projects, Sharma said. Environmental clearance is in place for two of the projects and the company is awaiting approval for the Chhindwara project from the environment ministry, he said. The combined coal requirement of the three projects is about 25 mt a year, he said. Despite the coal-related issues, Adani plans to expand its capacity to 10,000MW by fiscal 2012-13 and 20,000MW by 2020, Sharma said. Malay Mahadevia, a director at Mundra Port, said logistics is the biggest hurdle for power plants in India and importing coal through Adani Group ports is expected to reduce logistics costs by 20-40% for the power plants in western India.